VIEW THE CATALOG AND REGISTER TODAY FOR YOUR BID NUMBER. ALL BIDDING IS ONLINE. HERE'S THE LINK. In honor of the 35th anniversary of Mission Federal ArtWalk, we are celebrati ng our oceans and the beachy surfing culture that are so emblematic of San Diego. 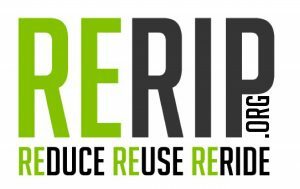 Thanks to our partners, Rerip, who are providing all the upcycled surfboards, 35 artists have transformed surfboards into original artwork. Painting, mosaic and woodwork are some of the mediums that will represented in this show and sale of surfboard art. Rerip's unique mission of keeping surfboards out of landfills makes the idea of turning boards into works of art something we can all be proud of. The boards will be displayed during Mission Federal ArtWalk at the Piazza della Famiglia (India and Date Streets) and will be available via an online auction. The majority of the proceeds for the sale of these unique art pieces will directly benefit ArtReach. You can support ArtReach and take home a stunning piece of art. You may register to bid NOW. The auction will be available online (some time the second week of April) so that you can bid on them even if you are unable to attend the event, and you can check on your bid throughout the weekend--but we hope you'll come and see them in person! Then during the festival, you will be able to bid by registering for a bid number at the Piazza della Famiglia. The auction closes at Midnight on Sunday, April 28. We are indebted to Rerip for their generous support of this project. Visit with their team at Mission Fed ArtWalk, and learn more about their good work in the community. Time: Volunteer in our admin office, at community events, pick up supplies to prep at your home, or apply to volunteer in the classrooms. Skills: Bring your skills and dedication and join our Board of Directors, join the volunteer team as a Volunteer Coordinator or photographer, or share your other applicable skills with our organization. Voice: Share your love of ArtReach and your commitment to the cause with your friends, neighbors, business partners, and everyone you encounter! Goods: Donate art supplies, stamps, paper, baby wipes and more. View our Amazon ArtReach Wish List and send art supplies directly to our office! ArtReach is honored to partner with these San Diego County schools and youth centers that value creative thinking and creative doing.